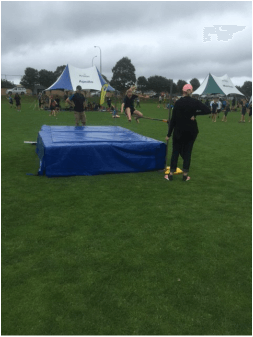 The 2019 Greenhithe School Athletics Day for Year 4-6 students will be held at Wainoni Park on November 19th – 9:15am start. This event involves all Year 4 to 6 children competing in their age group as at the date of the Super Cluster event. The children will be competing in the following events; Running, Long Jump, Discus, High Jump, Javelin and Shot Put. Each age group will rotate around each of the events in 40 minute blocks.Please Note: Time dependent, we will have House relays for Year 6 children at 2-20pmAs with all our of our sports events, we require a number parents to assist in a variety of roles to ensure a successful day. This includes supervising age group as they move between events or the assisting with the running of a particular discipline. If you are able to help then please fill out the form that went home with the children last week or print off a copy from below.Children are requested to wear clothing suitable for competing in a variety of athletics events (i.e. running shorts and lightweight t-shirt in their house colour). The 2019 Super Cluster Athletics Day will be held on Tuesday 3rd December 2019 at Kristin School. Participating schools include Coatesville, Ridgeview, Albany, Upper Harbour, Long Bay, Oteha, Glamorgan, Sherwood & Kristin Primary Schools. This event is for our top boy and girl athletes, aged 8 years and over. These children are determined by where they placed at our school event on 19th November 2019. Further information about this event will be posted here as it becomes available.